Being part of a great church is one of the most wonderful blessings there is to enjoy. I am very thankful to have the opportunity to lead a great church like Junction City First Baptist that is filled with amazing people. I love seeing our church grow numerically and spiritually as we engage our community and world. Our ultimate goal is produce disciples that make disciples, fulfill the Great Commission, and give glory to God. Why? Because everybody needs Jesus. Amanda and myself have three children, Mariela, Solomon, and Joel. Amanda is a homemaker and seeking a degree in early childhood education. I have received a Bachelors Degree in Biblical Studies from Grand Canyon University and a Master of Theology and a Master of Management and Leadership from Campbellsville University. I am currently seeking a Doctorate in Management. I also enjoy teaching theology and business at Campbellsville University as an Adjunct Professor. Amanda and I love to travel and discover hidden diners and dives. We also enjoy history and exploring antique artifacts. Kirk grew up in Liberty Kentucky where he accepted the Lord as his personal savior at age 9. He graduated from Casey County High School in 1984 and attended Eastern Kentucky University where he graduated in 1989. He traveled and sang gospel music with his family for 18 years. Kirk was married to his wife Kathryn in 1990 and they had a son Zach in 1997. They moved to Junction city in 2011. Kirk’s hobbies are writing music, sports and relaxing at home with his family. He also has a song that he has written on iTunes called “The Day That I Die". Rick his wife Vickie, and 3 daughters (Katelyn, Hannah, and Ashley) began ministry at JCFBC in 2016. Rick majored in audio video production at Southern Ohio College and has applied a lot of what he learned to children’s ministry. Rick has been in children’s ministry for 16 years. He has led ministry for 10 of those years. In 2014 Rick and his family became children evangelists when God birthed the Kids Plugged In Ministry. They have traveled around the United States showing kids that God’s not boring! Donna, along with Darrell and their 3 daughters (Caitlyn, Erin, and Megan), began ministry at JCFBC in 2004. 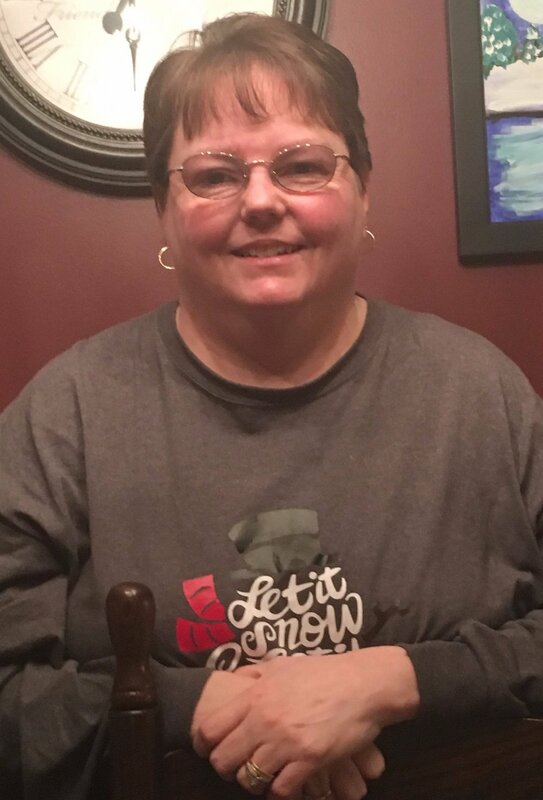 Donna is a 1992 graduate of University of the Cumberlands and served as bi-vocational minister to youth since 2004 as she was also the Office Manager for a local doctor for 25 years. In August of 2017, Donna came on staff as a full-time Executive Director of Ministry. She is the Director of Kids Hope USA for JCFBC and keeps the office organized and running! Brother Dale was born and raised in East Tennessee. He earned his BA from Clear Creek and attended Lincoln Memorial. He earned his masters from Liberty University. Brother Dale has served 5 churches over the last 40+ years while serving as Chaplin of Ephraim McDowell Regional Medical Center for 15 years. Brother Dale is no stranger to Junction City First Baptist as he served as our Senior Pastor from 2004- 2012. After a few years, Brother Dale is back on staff with us as a Care Pastor. Brother Dale and Brenda joined us again this year (2018). Both Tyler and Kelsey were born and raised in Lincoln County and graduated from Lincoln County High School and Eastern Kentucky University. Tyler serves the community as a Compliance Officer at Farmers Deposit Bank in Liberty, KY. Kelsey serves as a Speech-Language Pathologist for Boyle County Schools. Tyler and Kelsey are proud parents of now 2 year old Jay. Tyler and Kelsey have served Junction City First Baptist for several years in various ministries and have now taken on the new role of Youth Pastors. Brother Paul was born in Bourbon County, KY born the youngest of 9 children. When he was 3 his family moved to Casey County where he was raised on a farm. He graduated from Forkland High School in 1960. He then attended Danville School of Nursing where he met his wife, Astera. They both served as nurses at Ephraim McDowell and then Paul served 10 years at Kentucky State Hospital working with mental health patients until he surrendered to the ministry. He was ordained at Pleasant Run Baptist Church. Brother Paul earned his BA degree from Clear Creek and his Masters Degree in Counseling from Andersonville Seminary in GA. He has served 6 churches over there last 40 + years. Brother Paul joined Junction City First Baptist as a Care Pastor this year (2018).